Starring: Ben Affleck, Henry Cavill, Gal Gadot, Ezra Miller, Jason Mamoa, Ray Fisher, and more. “Man of Steel”, “Batman Vs. Superman: Dawn of Justice”, Academy Award Winning “Suicide Squad”, and the previous latest film, the record-breaking “Wonder Woman”. The DC Universe has been quite a roller coaster ride of ups and downs and after following the success of “Wonder Woman” but going off the track record of the other three films? It is a wonder to see how this film may turn out, and quite frankly, I have zero expectations for high or low as well. So it is time to let the Oberrating go on the highly anticipated ‘Justice League’ and let us get down to it. I am to the point where I just do not know what it is that DC needs to do in order to make me fall in love with these characters and what I see on screen. I guess with that being said, we can start with my overall reception of this film. ‘Justice League’, to me, is not a failure to deliver but it was not a blockbuster film in any means. While I appreciate the tone change from ‘Batman Vs. Superman’ and also the monumental change from ‘Suicide Squad’, I still felt the the film was lacking. This is due ultimately to the impact the Justice League team had as a whole and even individually. While it was overall great to watch new and old superheros on screen and coming together, the extremity of their presence was not as impactful as I would have expected. I am terribly sorry to make this comparison but it is the only film with the same structure and weight. Mostly each moment in the Avengers film felt necessary. The moments fit where they were placed. ‘Justice League’? Not so much. Far too hit and miss for me to be blown away. Entertainment wise, this film does deliver on most occasions. Not to counter my own previous point, but the comedy and action does well within its own context despite my disagreement with where and when it is placed. To put it in easier terms, I would say the film is marginally better than ‘Batman Vs. Superman’ and a bit better in regards to entertainment compared to ‘Suicide Squad’. 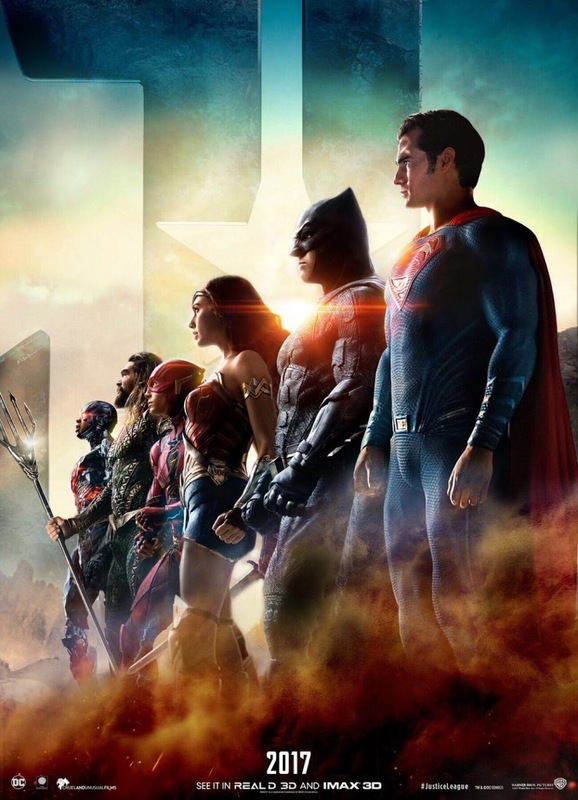 Between its fights, comedy, and images the film creates; ‘Justice League’ is a fun ride, despite what is a bit of a slow start in the beginning of the film. Once at the halfway point, the film picks up and keeps on giving. My favorite point I want to speak on is the characters. This point may have been the most hotly debated topic while waiting for ‘Justice League’ to release beyond the standard “Is it going to be good?” point. So here…we…go! Ben Affleck as Bruce Wayne/Batman: I have been a fan of Affleck as the Bats since the decision was made to make him so. He has been a glowing point of my reviews in regards to these DCU films and he remains to be a favorite. However, I did not like the funny Bats we got in this film but that is nowhere near Affleck’s fault. A solid outing for Affleck’s Batman. Less favorable from BvS but still fine. Henry Cavill as Superman/Clark Kent: Uh… spoiler? Kind of? Is this even a spoiler? Whatever… He’s alive, duh. And he makes his mark on the film once he makes his appearance. Is he overpowered as all hell? Absolutely. Am I upset about that? Absolutely not. Superman during action is what I would expect and I loved it. Performance, I have also been a big fan of Henry’s since ‘Man of Steel’ so it is safe to say I enjoyed him here as well. No surprise there. Gal Gadot as Wonder Woman/Diana Prince: Okay, if you have followed my reviews, you know I have been a fan of all three of these characters so once again: Big fan of Gal as Wonder Woman… However… I was one of the mega fans of the ‘Wonder Woman’ film and I was one of the people scared of how the success of ‘Wonder Woman’ would translate into ‘Justice League’. This is where I feel a weakness was in this film. Wonder Woman did not have so much of a power position that I expected her to have compared to her solo film. I expected a more impressive outing. Something where I would get excited and pump my fist in appreciation. Sadly, that did not happen with her character. That did not happen with anyone. Ezra Miller as Flash/Barry Allen: For a character like Barry Allen, all jokes are free to go. Easily the most comical part of the film, Ezra Miller as Flash was a great deal of fun to watch. Actually, he owns quite possibly my favorite moment for the entire film. If this character is what we have to look forward to for the solo Flash film, I will be first in line. Ray Fisher as Cyborg/Victor Stone: Out of every character, I was more scared to see Cyborg due to the trailers presentation of him. Early on, the effects looked garbage for Cyborg and I was expecting the worst. Upon finishing the film, I was actually quite pleased with him despite minorly choppy effects. Cyborg’s presence in the film shows a man still learning his powers but quite confident in what he can do. Which transfers into how he speaks and interacts with the other members of the Justice League creating comical moments and even some of semi high tension. I am pleased to not call ‘Justice League’ as much of a failure as I felt BvS was and also pleased to say it was more entertaining to ‘Suicide Squad’. However clearly this was not the marquee film that was required out of such a large scale team up film. Numbers do not lie as the film opened just under 100 million dollars during its opening weekend. Easily the film’s strongest suit is its (main) characters and its entertainment value. To be honest, I was actually a bigger fan of the three new members of the Justice League versus the three I have already seen. I feel Wonder Woman was downplayed after such a successful solo movie, Batman was far too much of a comedian in moments, and Superman was just fine. But Cyborg, Aquaman, and especially Flash are easily the best moments of the film. I am still hopeful for what is to come for the DCU but I am not anticipating any blockbuster experiences like Marvel produces. Posted in 2017 Movies, Movie Review.Tagged Ben Affleck, Chris Terrio, DC Comics, Ezra Miller, Gal Gadot, Henry Cavill, Jason Momoa, Justice League, Movie Blogger, Movie Reviews, Movies, Ray Fisher, Zack Snyder.